Halo - an enlightening collection with charming diamonds to make you look and feel heavenly. 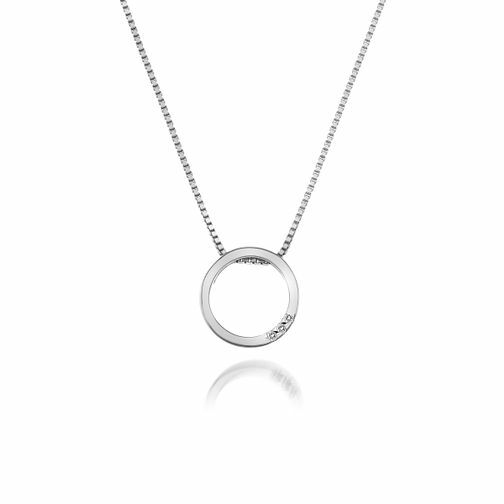 This simplistic Halo necklace features a pendant measuring 13mm x 13mm which is adorned with three real one point diamonds in the crescent. Included with our 40-45cm 925 sterling silver box chain. Hot Diamonds Silver Halo Circle Pendant is rated 5.0 out of 5 by 1. Rated 5 out of 5 by Anonymous from Excellent quality. Really lovely. As described. This was chosen for a specific reason and was very much appreciated by the person it was gifted to. Great quality and packaged beautifully.